When building a home, you probably focus most on how it will look – choosing paint colours, light fixtures, furniture, and so on. But the building’s unseen structure remains just as important as its appearance, and requires preventative measures like waterproofing to help provide safety and protection from the elements. 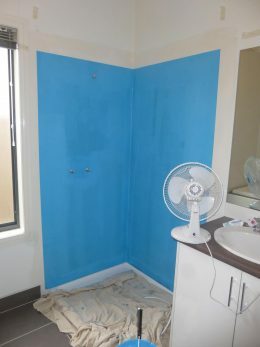 Wet areas, bathrooms and laundries are particularly critical areas to protect from moisture damage, and they must be waterproof (or water resistant) to comply with ‘Australian Standard AS3740 – Waterproofing of domestic wet areas.’ Because these areas are nearly always next to a bedroom or living area, and can often be found on the upper floor of a residence, failure to do so can result in very serious damage. 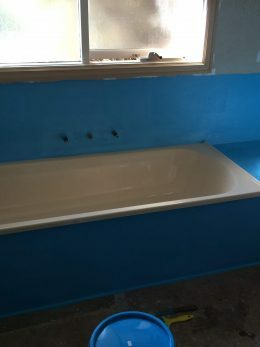 This means toilet, bath and shower waterproofing is something you cannot afford to cut costs on. 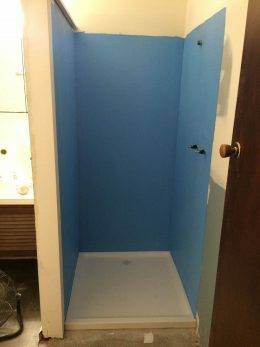 Austin Waterproofing is able to complete bathroom waterproofing in Melbourne for all of these areas. 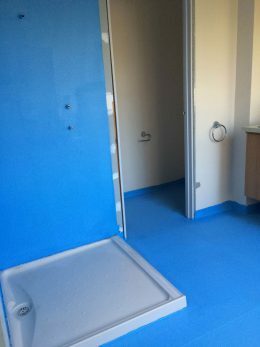 In each case, we place a waterproof membrane beneath your flooring to protect the foundation. 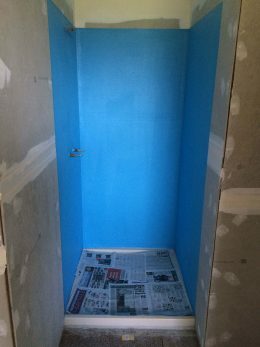 This thin layer ensures that all splashes and drips don’t detract from the beauty of your bathroom or the integrity of your structure. Austin Waterproofing complies with all regulations for the Australian Standards. We can supply your new home with the equipment and technology you need to avoid the risk of water damage. Ask about our qualifications to see how we can give you the best bathroom waterproofing services in Melbourne. 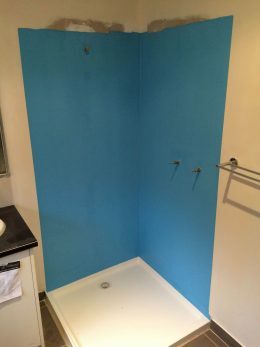 Call 0434 035 881 to arrange a free inspection and obligation-free quote for your toilet, bath or shower waterproofing project. For your peace of mind, we guarantee our installations and repairs for up to seven years. We are exceptional at identifying and eliminating risk in all wet areas. Furthermore, works carried out by Austin Waterproofing come with a written guarantee for a minimum of seven years. 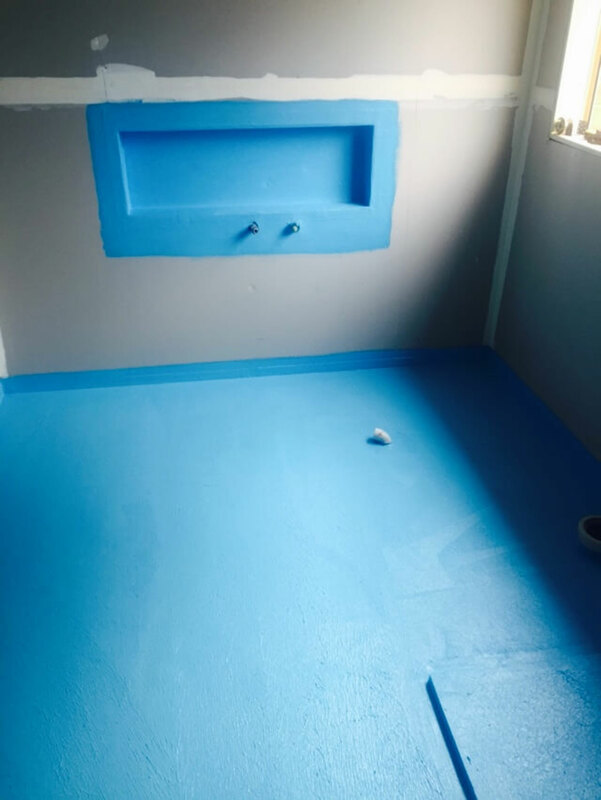 As a licensed waterproofer, we are proficient applicators for most products on the market, and are approved applicators of all waterproofing membrane products we use. We also use “Ozone Friendly” products wherever possible.